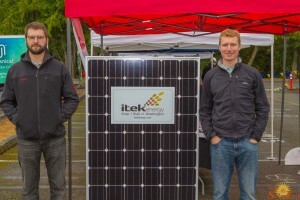 NW SolarFest is celebrating its 15th year and has grown to be the largest and longest running sustainability fair in Washington State. You can learn how to live a more sustainable life and see what choices might work for you and your family. Visit over 70 booths that highlight products, services and information to help you make choices that will help leave a cleaner, safer planet for our children. Solar curious? Talk to over 14 local solar installers and see what solar solutions are right for you. Bring the family and visit the KIDZone to get a solar mini car, build a birdhouse, make your own trail mix, and many other activities. 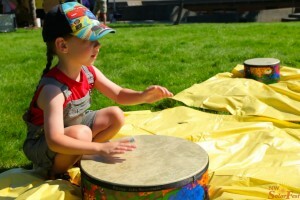 Support Girl Scouts as they earn their Girl Scout Sun Patch at NW SolarFest. 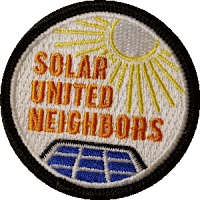 Patches are awarded upon completion of the Solar Passport and worksheet. Applaud them at the award ceremonies. Test Ride an electric bike and check out the latest in electric cars in the Transportation Zone. Win prizes with our Sponsor Passport, 1st prize is a Four Person Three Day Backpack Emergency Preparedness Kit, MSRP $250, from American Preparedness a service-disabled, veteran owned business and leading manufacturer and distributor of emergency preparedness kits. 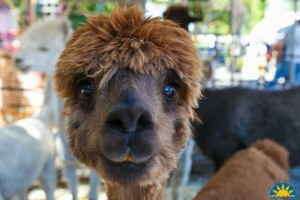 And yes… the alpaca will be there. Conversation Café, Features workshops on preparedness: How to survive the “Big One”, Solar Solutions for emergencies, 90 minute Basic Preparedness. See full schedule. Enjoy the low carbon, high joy, food and entertainment. 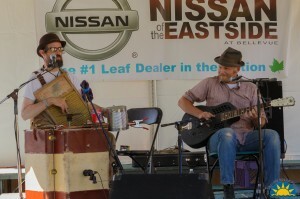 10:00 Latona Family Band, Upbeat covers of our favorite bands with a few originals. 2:00 Rainy City Riff Raff, They JUMP, they JIVE, and oh do they WAIL! 12:00 The Bubbleman, Have a bubblicious good time in the sun.